Today’s pic also comes from Mom’s house. In her great room sits my piano. My parents bought it for me in the early 90s when I had taken up an interest in music. I never learned to play, but I enjoyed tinkering around on it and picking out songs since I knew how to read music. A lot of my friends could play so it got some use and my mother got some entertainment from that. It’s horribly out of tune. As you can see, it’s a very unique color and shape. 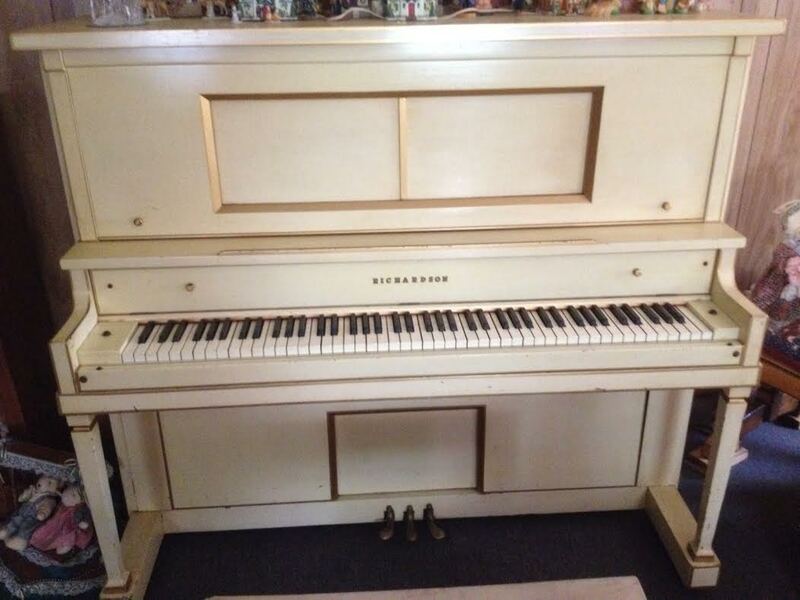 It’s a Richardson players piano, though it hasn’t played on its own as long as we’ve owned it and I’m not sure what it would take to get it to do so. I love it though. It’s a part of me and I’ve been meaning to write a book about it for years, and still plan to some day.